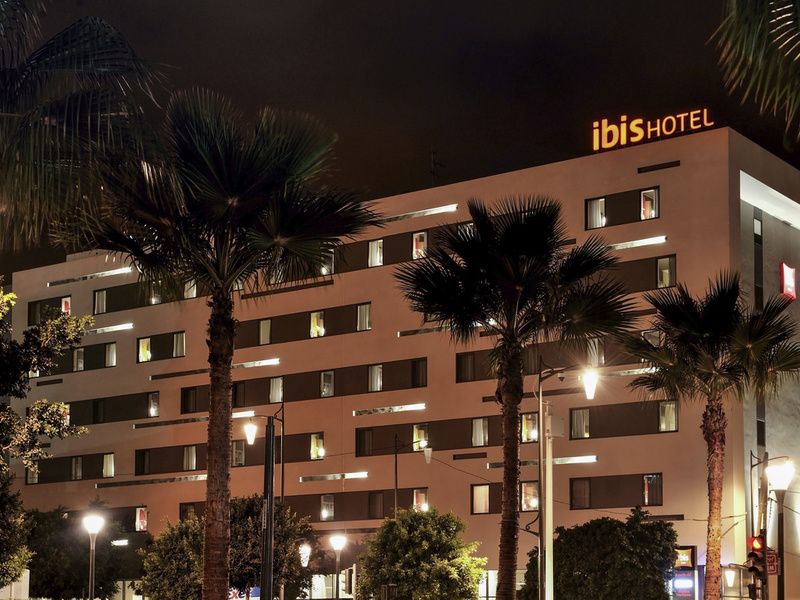 Ideally located opposite the Casa-Voyageurs train station, offering direct access to Mohammed V International Airport. The Casa-Voyageurs tram station is just 2 minutes from the hotel and offers access to the city center, the Old Medina and the Corniche. The Hassan II mosque is just 15 minutes away by tram. For your shopping needs, the hotel is 5 minutes from Tachfine Center and 25 minutes from Anfaplace Shopping Center and the Morocco Mall. The hotel is newly built and is very modern and spotlessly clean. The staff were very pleasant and the hotel is very well located within yards of Casa Voyageur railway station. The rooms are not spacious but satisfactory for a fairly short stay. The room was small but adequate. The biggest problem was that the lobby and restaurant areas smelled strongly of smoke because there is a bar/lounge/TV room where smoking is allowed, which is open to the main lobby area. This is unfortunate. Great location. Upgraded room. Helpful staff. My two night stay at this property was a pleasant one. My room was on the 5th fl with a view which was appreciated. Enjoyed arriving from the airport and having a short commute to the property. Would be nice to have some of the amenities offered by other hotel chains. Hotel only provides shampoo, conditioner and a small bar of soap. No mini refrigerator or the ability to make tea/coffee. No mini bar, etc. If you can live without these conveniences and value location as far as transit access this could be the place for you. There is a tram very close to hotel which provides access to other areas nearby. I was impressed with the quality of the hotel, everywhere was clean, modern, stylish and the staff were helpful and friendly. The receptionist told us that we could get free drinking water from the bar, but when we went to the bar, they charged us for the drinking water. For a hotel of this quality, drinkable water should be provided for free. Helpful kind staff. Quiet room. The warm components of the breakfast (pancakes, etc) were cold. No wonder, they weren't kept warm, but instead presented on a plate on the counter. The online check-in was completely dysfunctional for my travel companion and me. We had to fill out all the forms a second time after arrival, even though all information had been given by us via the online check-in. Double charged me and then ignored all attempts to fix the situation. Booked 2 separate nights in advance, paid for 2 separate nights at the time of booking. When I arrived at the hotel I was told I had not paid the second night and would have to pay it in full now. Apparently the credit card statement I had printed out showing the 2 charges meant nothing to them and I was treated as if I was lying despite having physical proof of the charges in my hands. I was told to pay the second night again and to send an email to their accounting department and the charges would be reversed within a day or two if I was overcharged. Not only were the charges not reversed but no one would reply to my multiple emails and phone calls on the subject. They were completely ghosting me. I finally had to go through my credit card company to get the charges reversed. This is ridiculous for something that should have been easily fixed. Terrible customer service where they take your money and treat you like garbage. I would never again stay here, not just because the rest of the experience was less than stellar (No a/c and "breakfast" consisted of just some very stale bread), but also because of their shady business practices. This hotel has been moved and rebuilt, and it’s really good. I was very happy. The rebuild is great. I’ve stayed a few times at the old Ibis which was knocked down, this is a huge improvement and very comfortable. I slept well on your very comfortable bed. As above. Best Ibis room and breakfast on ourMoroccan trip so far. Everythink was perfect . The room was quite and clean . Fast check in and check out . I recommande it . The location was great. The shower was great. Other than that... The towels were scratchy and small. Only two body towels were provided, no washcloths. Only two combined body gel/shampoo sachets were provided, no conditioner. The bed was extremely firm. The pillows were similarly rock-like. The air conditioner did not work at all. Thankfully the window opened, though you had to open it completely for it to not swing closed. This would be entirely unacceptable in the summer. The breakfast breads were stale. All other options stale. Late night food service was limited and greasy. I checked in online, suggested by email to &quot;save time.&quot; On the contrary, I still had to fill out a form followed but a few minutes of check in process. No real problem there, just unnecessary to check in online.